Hotel USSR tells a story of а young man coming of age in a totalitarian state. He wants to be an artist but he isn’t authorized to buy paints. He wants to see the world but the authorities brand him as politically unreliable. He wants to get married but the system separates him from his bride. 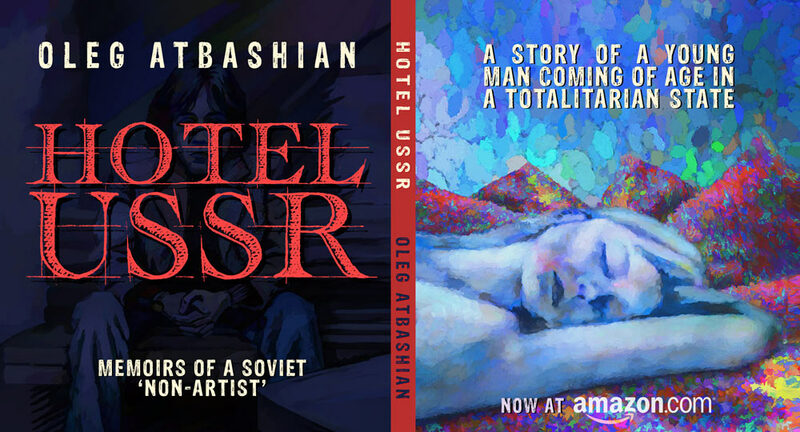 He listens to Hotel California and wishes he had their problems: he himself is stuck in a real-life trap that he “can never leave,” and he calls it Hotel USSR. To check out, he must break every rule in the book. This young man is me and this is my real life story. People have often asked me what growing up in the USSR felt like. This book is my answer. It’s illustrated with my own drawings and paintings, which I did in my twenties before I quit drawing. The reason for quitting is in there as well. In addition to it being humorous and entertaining, I hope this story can be an eye-opener for younger people who may naively believe in the false promise of socialism. Rather than debating Marxism directly, I demonstrate how it fails in practice and what absurdities ensue when the entire state lives in denial of its failures, forcing people not to trust their own eyes. Now available at Amazon – and please don’t forget to rate it and leave a comment. Given that this is also an art book, there are several purchase options. A beautiful full color edition is more expensive to print, but it will make an amazing gift. 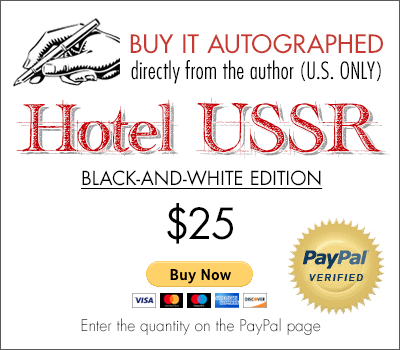 You can also order autographed copies for both color and B&W editions through PayPal. All major credit cards accepted.